Team work and design expertise were on display at Nelson and Colne College as secondary school students from across East Lancashire put their problem-solving skills to the test. The Engineering Because contest was held at NCC with the aim of engaging Year 8, 9 and 10 students with STEM related subjects – Science, Technology, Engineering and Maths. The event gave students the opportunity to learn more about future career choices and saw them working together in teams to design a catapult-powered car which had to carry ping pong balls without spilling any along a track – points were awarded for the most balls still on the vehicle and the time taken to complete the course. 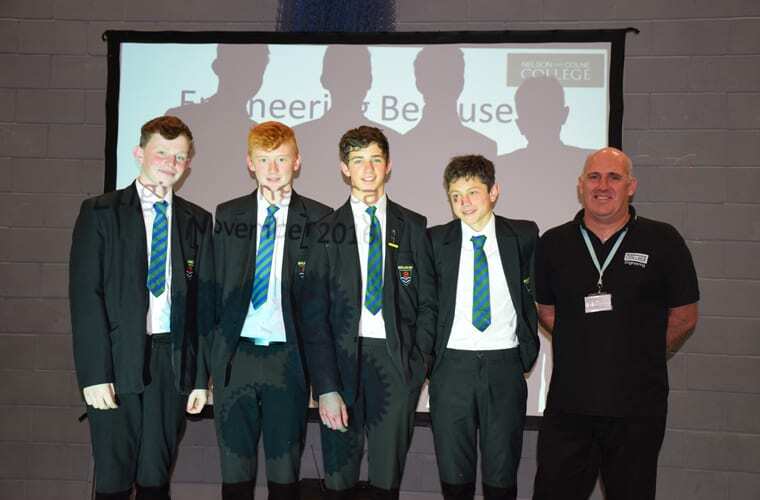 The five schools that took part in Engineering Because were Colne Primet Academy, Bowland High School, West Craven High School, Park High School and Blackburn Central High School. Winners on the day were Park High School (Year 8) and a team from Bowland High School (Years 9 and 10). Teams were marked on communication, problem solving, design and construction, as well as their cars’ performance! Engineering tutor Mark Rosenthal said: “The teachers were given a tour of the College’s £2 million skills facility and were impressed with the amount of equipment we have and the wide range of programmes on offer. “They have said the event has given students a fabulous insight into Engineering as well as life at College. It’s been great for them to work together and with students from other schools. Nelson and Colne College’s £2million Engineering skills facility was officially unveiled this year, boasting new department features including a subsonic wind tunnel, workshops equipped with the latest technology and software, an innovation laboratory and a 3D printing and manufacturing area. The Lancashire Enterprise Partnership (LEP) has invested £1.4m into the project.